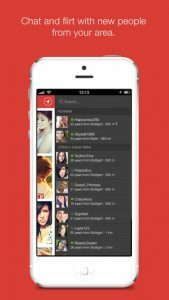 JAUMO iPhone App Review: Flirt with Singles Near You! JAUMOis an iPhone app developed byJaumo GmbH. 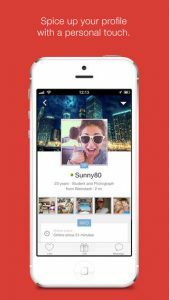 If you want to flirt with cute singles in your area, this app is a simple way to meet new people. The first thing I noticed about this app was how clean and attractive the interface was. Unlike a lot of other dating/flirting apps out there, JAUMO is really easy to navigate. There’s no clutter, and the entire app is just presented in a very professional, tidy manner. JAUMO cares about your privacy, and pledges not to post things to Facebook without your permission. Your exact location and personal information will never be shared. One thing that users should be aware of is the fact that JAUMO runs on an in-app coin system. These coins aren’t strictly necessary to use the app, however. Coins are used only to send gifts or unlock VIP status. You can either earn them through using the app, or buy them via IAP. There are no subscription costs, and no hidden fees to worry about. Recently updated to Version 2.1.1, JAUMO now supports landscape mode, and allows you to sign in with your Google Plus or Twitter account. The overall navigation has also been improved, and some bugs have been dealt with, too! This app is also available for Android. In fact, JAUMO won the award for best flirting app from Android Magazine this year! 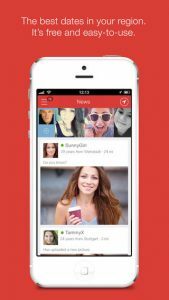 If you’re looking for a dating/flirting app for singles in your area that is easy to navigate, this app is one of your best bets. The company is committed to preventing scammers from being on their platform, which makes JAUMO an app you can use with confidence. JAUMOrequires iOS 5.0 or later. Compatible with iPhone, iPad, and iPod touch. This app is optimized for iPhone 5.